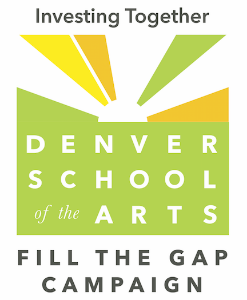 The Rocky Mountain Region's only public Performing Arts School Orchestra serving grades 6-12. *Please note that some of the top links are bookmarks to later sections of the email. If those links don’t work, please scroll through the email to find the appropriate section. Our apologies for any inconvenience. Please send your email acknowledgment of the student handbook to Terrie Tyree by 6p tonight. Fill the Gap program is in full swing! Please contribute what you can so that DSAO can reach 100% participation. Make sure that you like and share the DSAO Facebook page, especially when we have upcoming events! The DSAO Handbook is one of the most important reference manuals for you and your orchestra student in helping to make their career a success. Please CLICK HERE to access the 2018-2019 Handbook, and email your acknowledgment (no need to electronically sign the document) to Terrie Tyree (tyreeworld@centurylink.net) by tonight at 6p. Dear Orchestra Students and Parents;First of all, welcome to DSA to all the new families! 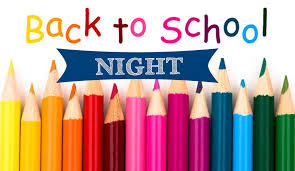 I have chosen Aug. 30 at 6:30-7:30 for Middle School and 7:30-8:30 for High Schoolfor the Orchestra Back to School Night. I know it’s short notice but please make every effort to have at least one parent or guardian from each family represented. I will be going over this year’s events, the handbook, course expectations, behavior, and other aspects of the orchestra class. There have also been some changes in the school this year that I would like to discuss at this meeting. Thank you for your flexibility. I look forward to seeing you soon! A classical solo of your choice demonstrating lyrical and technical abilities. Two scales a major scale of your choice and a melodic minor scale of your choice. Two octaves required, three octaves encouraged. No sight reading at the audition. We will no longer require the Western States orchestral excerpts. Instead, we will use pieces that DSAO will be playing in 2018-19. A classical solo of your choice demonstrating lyrical and technical abilities. Please prepare two scales, three-octave Db Major and three-octave c# melodic minor. For Full Orchestra please start studying and listening to Stravinsky’s Petrushka. Due to copyright restrictions, the parts can’t be printed. However, you can see the parts clearly on our website using a computer or tablet. DSA is tuition-free, but donation dependent. Why? District funding does not cover all of DSA’s unique expenses, resulting in a funding gap of $1,380 per student. Your ongoing monthly support provides vital, predictable revenue, ensuring the strong legacy of DSA success. Join the over 500 DSA families who are already supporting DSA with a monthly gift, and become a “Perennial Patron”! Your monthly donation continues until you make a change or cancel. Please CLICK HERE to set up your monthly donation. We at OFA hope that you had a wonderful summer. It is very important that each family have at least one email address that is actively monitored for DSAO news. Email is the primary source of up-to-date information. Please click the appropriate link at the bottom or reply to this email if an address needs to be deleted (“unsubscribe from this list”), changed (“update subscription preferences”) or added. Thank you so much. With travel in our near future, we are excited to announce that, starting May 15, 2017, the money we earn from our King Soopers Reloadable Gift Card fundraiser will now go into specific student travel accounts (based on card ownership & use) and will be used towards their Orchestra travel expenses. Each time you reload your King Soopers Reloadable Gift Card (must be purchased through DSAO for $2.50 â€“ which is the amount already loaded on the card), 5% of each reloading (up to $500) is awarded to DSAO, and we will track it for you and your student. That is 5 cents on every dollar you spend without costing you anything! Even a small amount can help when it comes time to pay for trips. King Soopers send DSAO a check each time the reloads reach $5,000 or more, and that is when your students travel account will be credited with the amount earned. There is no cash value attached to the account, it is for DSAO fundraising only. Funds may follow the student from year to year providing they stay in the Orchestra. 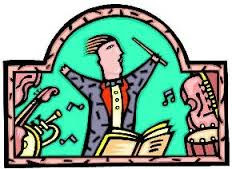 Once the student graduates, or leaves the Orchestra, the funds will be transferred to the DSAO travel scholarship fund, or may be transferred to a sibling within the Orchestra. Funds are not issued to the departing student or family. Cards may be used at any Kings Soopers and City Market stores and can be used for many types of purchases including groceries, prescriptions, and gasoline. They cannot be used to purchase lottery tickets, stamps, money transactions, gift cards and other types of tickets. Once youâ€™ve purchased your card from DSAO, You simply give the card to your cashier before your purchases are scanned so the reloading is paid as a separate transaction (or you can do this at the Customer Service before making your purchases). You pay for the reload amount by cash, check or credit card. You can then use the Gift Card to pay for your purchases at any checkout line or fuel center. You can reload again and again. The more you use it, the more money is earned for your student. The money on the card never expires: However, if your balance goes to zero and you donâ€™t reload it within 90 days, the card becomes inactive. You would then need to get a new card from DSAO. If you reload it after it is inactive, your student will not get credit for the reloads. When DSAO plans a trip, and money is due, we will send you the balance in your students trip account to apply toward the amount due for that trip. King Soopers cards will be available prior to each concert in May. If you have questions please contact Terrie Tyree at tyreeworld@centurylink.net or Lisa Scheve at lbassow@comcast.net. This entry was posted in Uncategorized by Anne Sarsen. Bookmark the permalink.